Thanks to the generosity of Australian film distributor Hopscotch we’ve got 5 double passes to To Rome With Love and 5 double passes to Seven Psychopaths to give away to some of our lucky Australian users. A little over a year ago, we started building a movie site with this exact problem in our sights - how could we make film ratings more useful? Bad ratings are all over the internet, and as someone who’s tried to make an improvement, I thought it was worth responding. Following on from the release of the Goodfilms mobile site, we received a lot of requests for a more detailed post on how we used AngularJS, and what we thought of it. In this Part 1 we’ll talk about how we use Directives to isolate some mobile-specific logic and keep them maintainable. Here at Goodfilms, we’ve always believed a couple of things about films ratings. 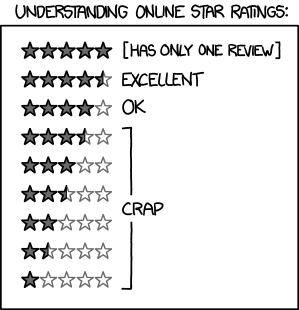 The first, the obvious one, is that ordinary rating scales are broken. The second, which is just as big an influence on us, but that we write about less often, is that how you hear about a film (and from whom) matters a lot. We’ve been recording the way people interact with films after their friends for a little while now, and it’s been amazing to watch. We can draw little “family trees” of who originally reviewed a film, then which of their friends rated it next, and then which of their friends rate it. It’s like watching our own little zombie outbreak inside the computers. Once we’ve collated a bit more data, we’ll write a blog post about some of the interesting ways different films move through social groups. We’ve put together a short video with a sneak peek of how the iPhone-optimised site is shaping up. We’re really excited about the different possibilities a touchscreen gives us. We love feedback, so please tell us what you think in the comments.